A MUST SEE 4 BEDROOM, 2.5 FULL BATHROOM, 2312 SF TRADITIONAL HOME WITH HUGE 424 SF 2 CAR GARAGE, LARGE FAMILY ROOM WITH FIREPLACE, EAT-IN KITCHEN, COVERED PORCH, LARGER CORNER LOT WITH PRIVACY FENCING ON QUIET STREET IN BAKER FARM@WYTHE CREEK. MUST SEE TO APPRECIATE! Ready to visit 136 Baker Farm? Request a free property tour! Send me more information about the listing at 136 Baker Farm, Hampton, VA 23666, MLS# 10240035. This 4 bedroom, 3 bathroom home located at 136 Baker Farm, Hampton, VA 23666 has approximately 2,312 square feet. It is currently listed for $269,900 and has a price per sqft of $11,674. This home is currently Off Market under the MLS#: 10240035. This listing is provided by Chantel Ray Real Estate Inc..
136 Baker Farm Drive, Hampton was built in 2000. It has Garage Att 2 Car, Multi Car, Driveway Spc parking.The kitchen includes Dishwasher, Dryer Hookup, Microwave, Elec Range, Washer Hookup. 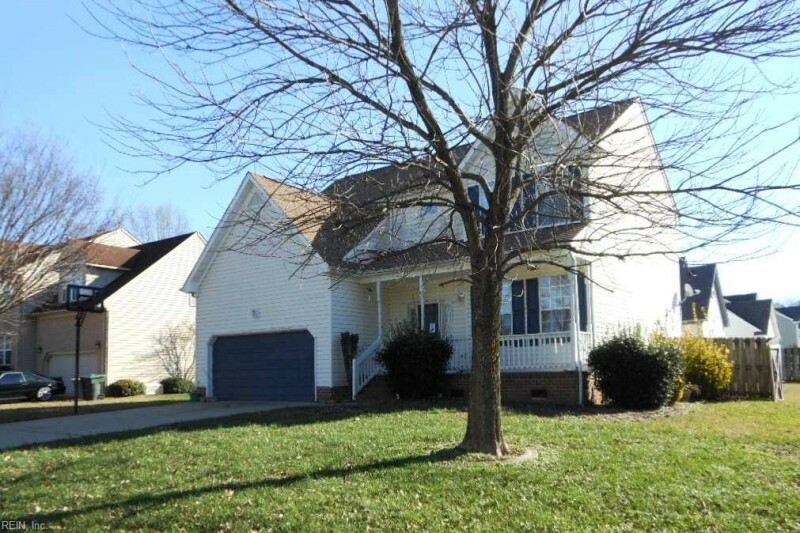 136 Baker Farm is part of the Baker Farm At Wythe Creek neighborhood located in 23666.